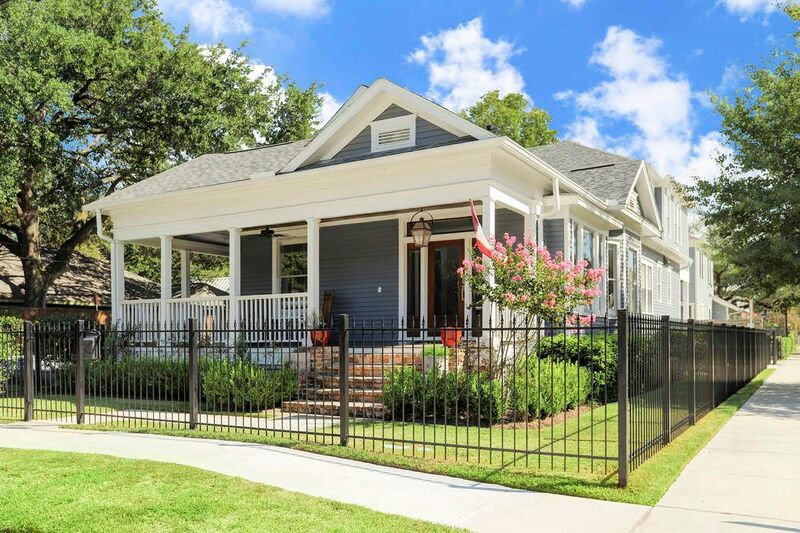 528 Highland Street, Houston, TX 77009 | Martha Turner Sotheby's International Realty, Inc.
FRONT OF HOME - Street View.Charming Queen Anne style home with large wrap around porch.Fully fenced corner lot! Front porch with stained ceiling & gas lantern. POOL/YARDSPACE - Saltwater heated pool/spa & travertine patio. Who wouldn't want to spend our hot Houston months besides this resort like pool? 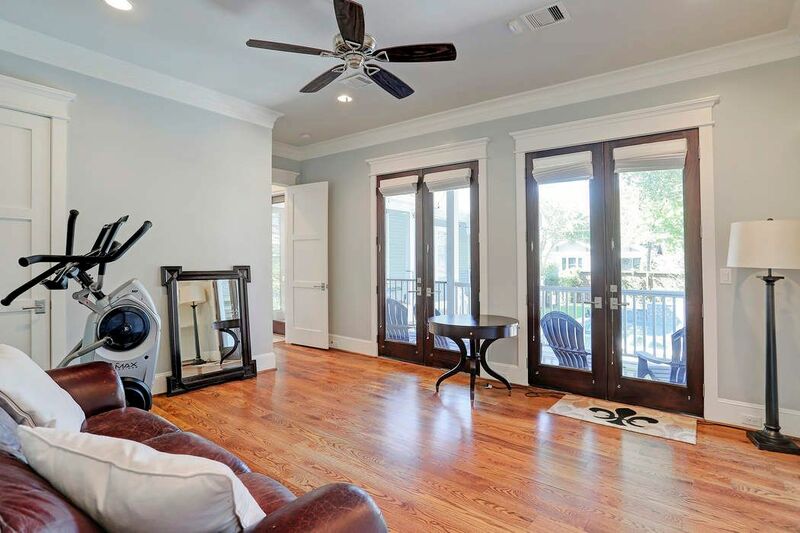 FOYER - Open entry space and 6" white oak wood floors throughout the house. Also includes original built-ins that where re-furbished in 2016. 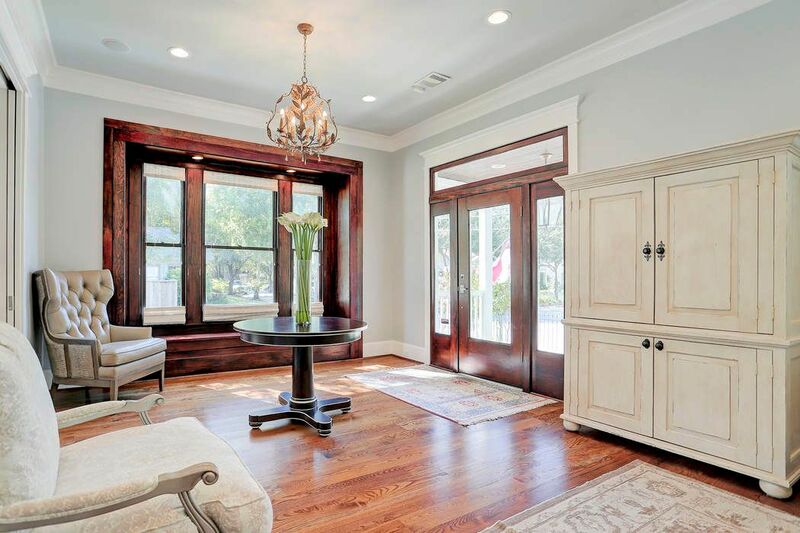 FOYER/FORMAL SITTING - Original 1920's built-ins. 6'Inch White oak flooring. 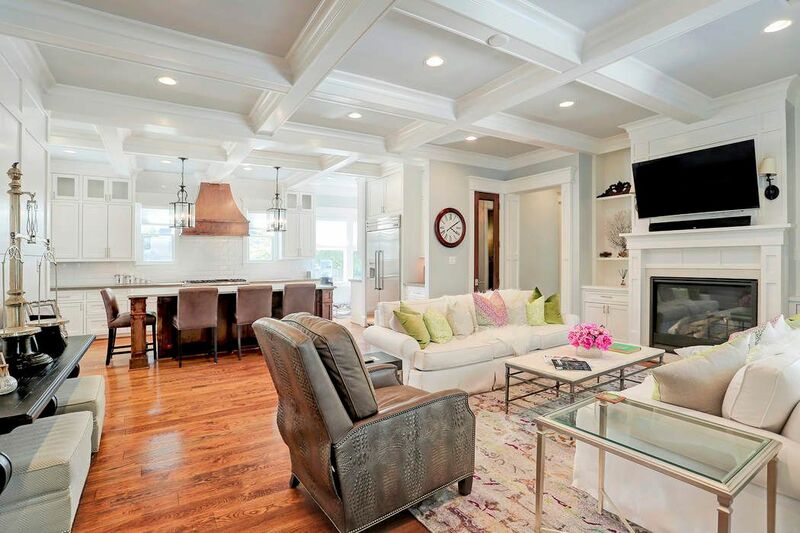 FORMAL LIVING - Spacious well lit area with fireplace and stunning finishes. 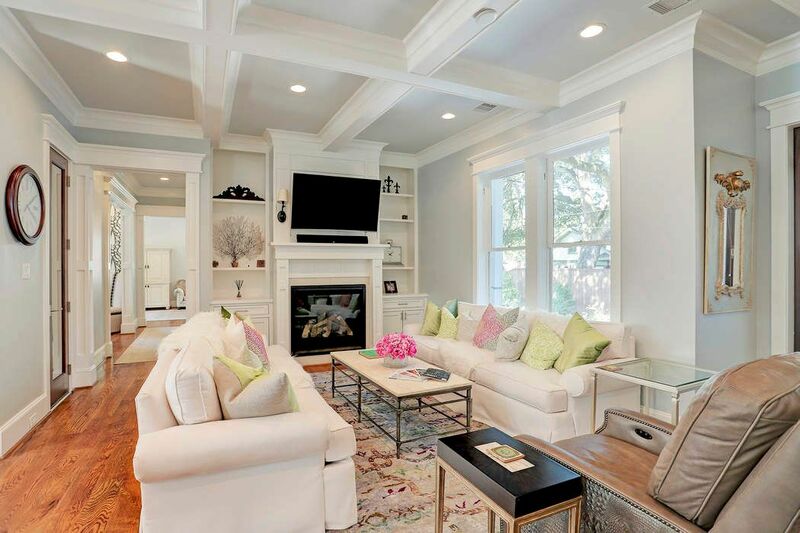 FORMAL SITTING- Great area for your own front living space or reading room. 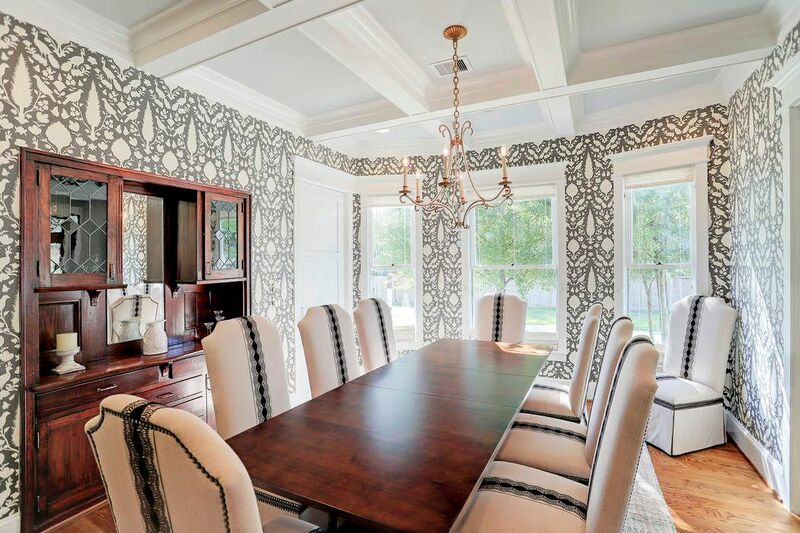 FORMAL DINING - Original 1920's dining room built-in was saved and refurbished.Stunning finishes throughout! 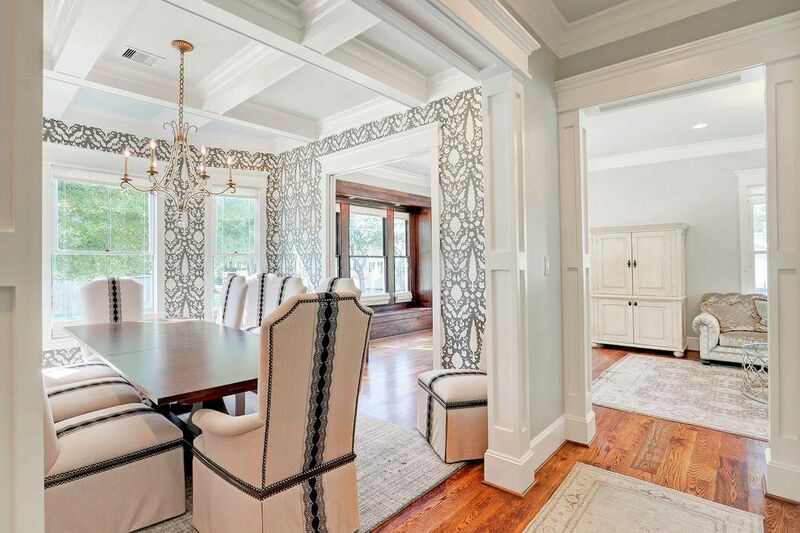 FORMAL DINING - FORMAL DINING - Original 1920's dining room built-in was saved and refurbished.Stunning finishes throughout! 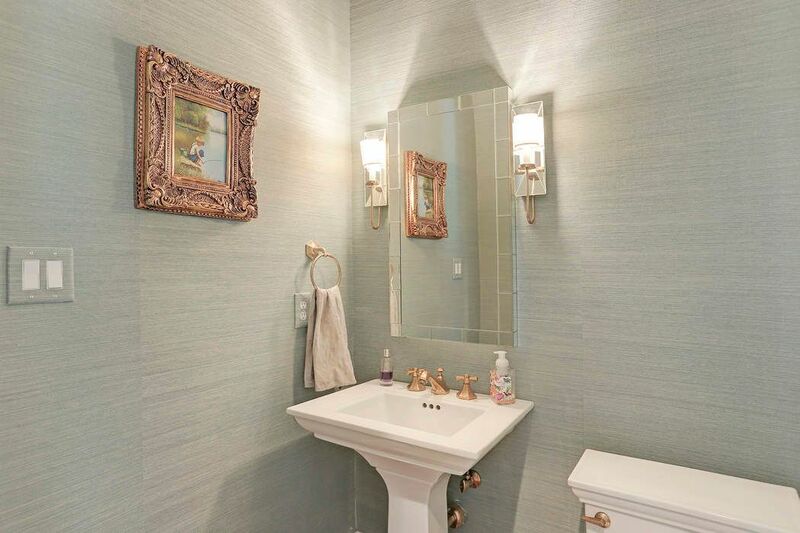 HALF BATH - Downstairs powder bath with seagrass wallpaper and natural brass finishes! 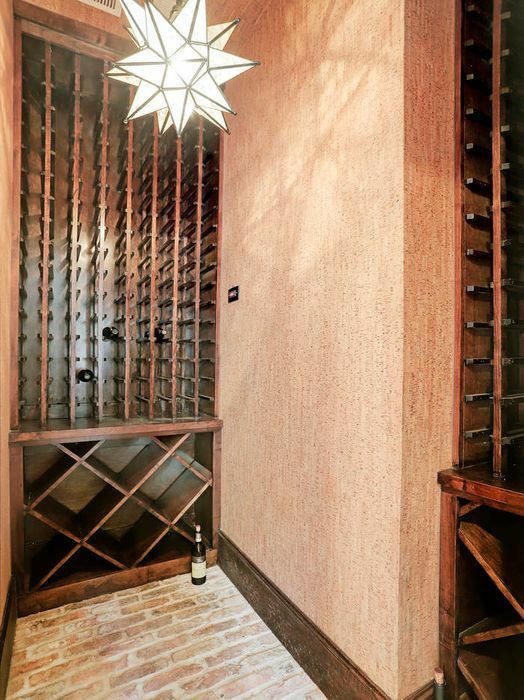 WINE ROOM - Climate controlled wine room with cork wallpaper. 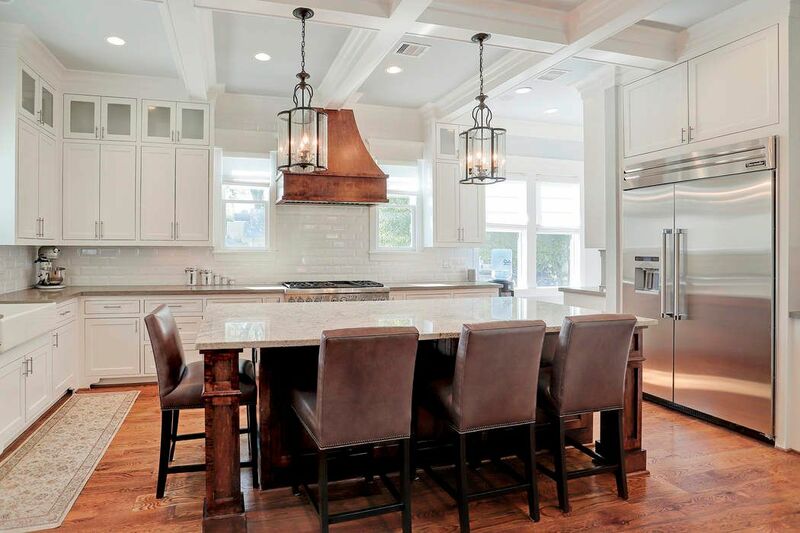 KITCHEN - KITCHEN - Amazing kitchen! Large island, 48" Thermador range, apron sink, plenty of storage, warming drawer and butlers pantry! 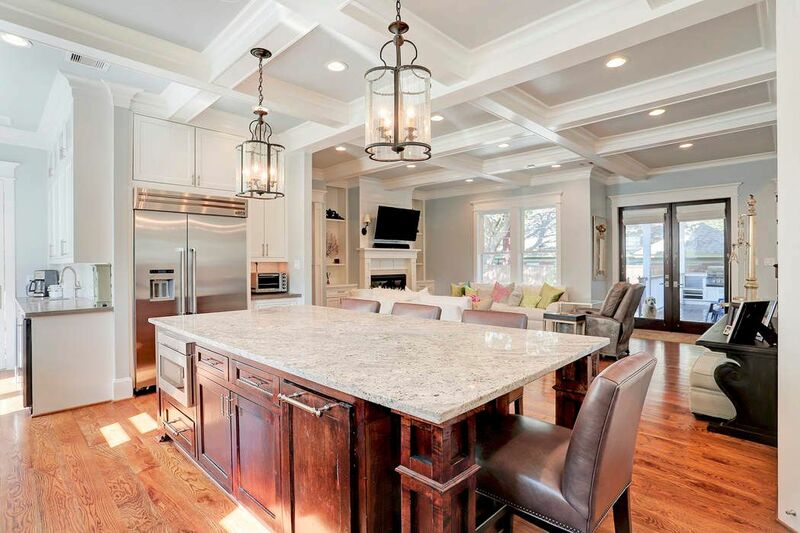 KITCHEN - Amazing kitchen! Large island, 48" Thermador range, apron sink, plenty of storage, warming drawer and butlers pantry! LIVING/KITCHEN - Great space located conveniently next to kitchen area . 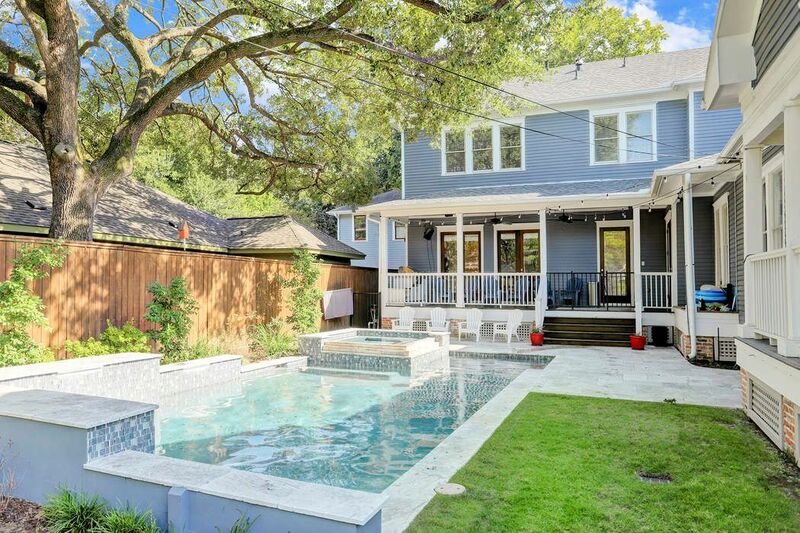 Ideal for entertaining and wonderful views of backyard pool area. UPSTAIRS GAMEROOM - 3rd Floor game room with lots of storage and powder bath. EXTRA ROOM - Downstairs Guest Suite or Flex Room. The double doors slide to reveal a queen size Murphy bed. Looks out to pool. 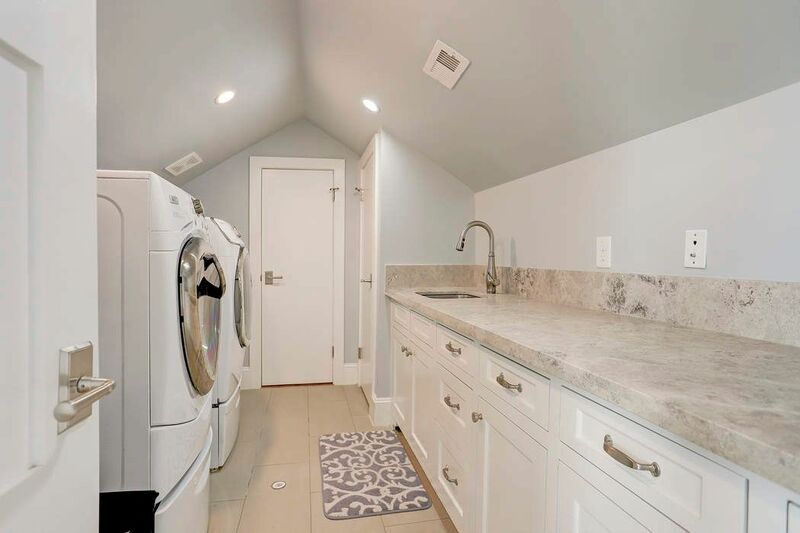 UTILITY ROOM - Spacious area to make laundry a little less stressful! BEDROOM - Large well lit additional bedrooms located throughout home. 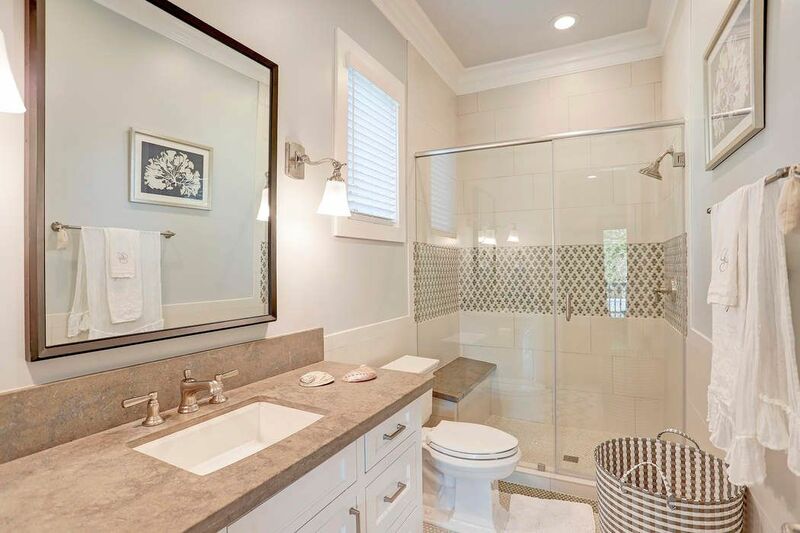 BATHROOM - Additional bathrooms with stunning finishes. 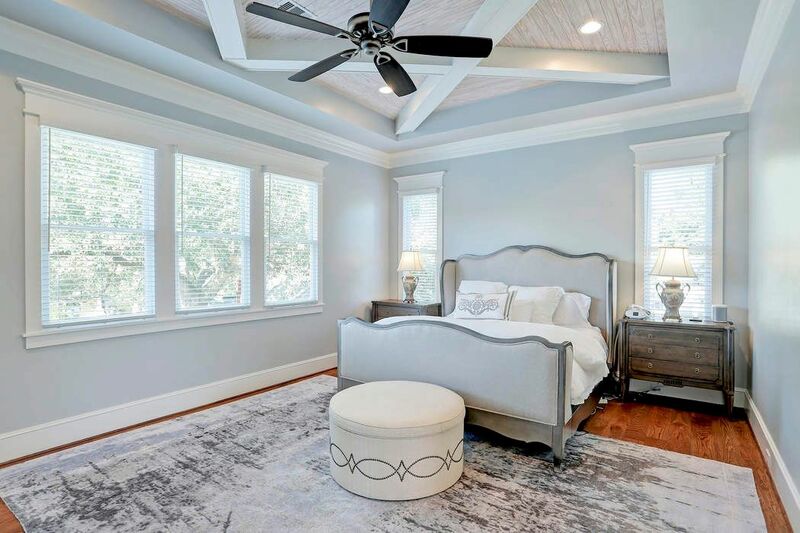 MASTER BEDROOM - Large spacious room with large windows that allow natural lighting to illuminate the wood flooring and high end finishes. MASTER BATHROOM - Georgious master bath fit for royalty. 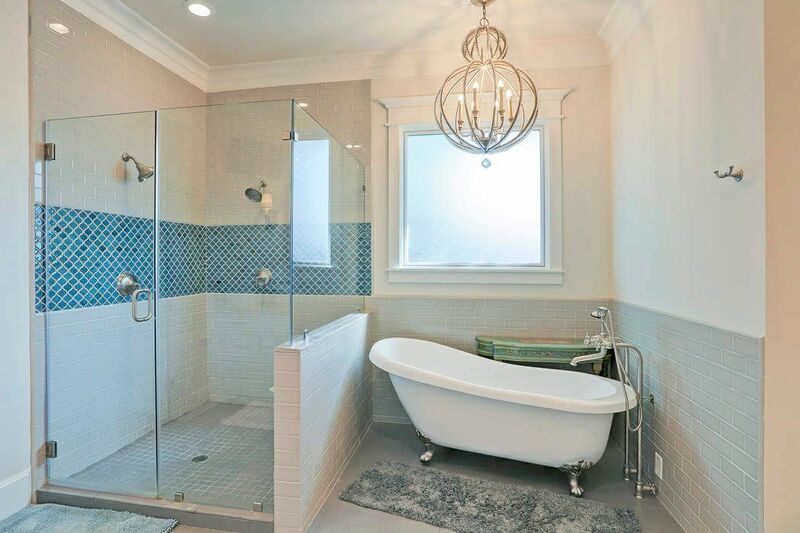 Clawfoot tub, two head shower. Complete with his and her sinks! MASTER BEDROOM - Large spacious room with large windows that allow natural lighting to illuminate the wood flooring and high end finishes. 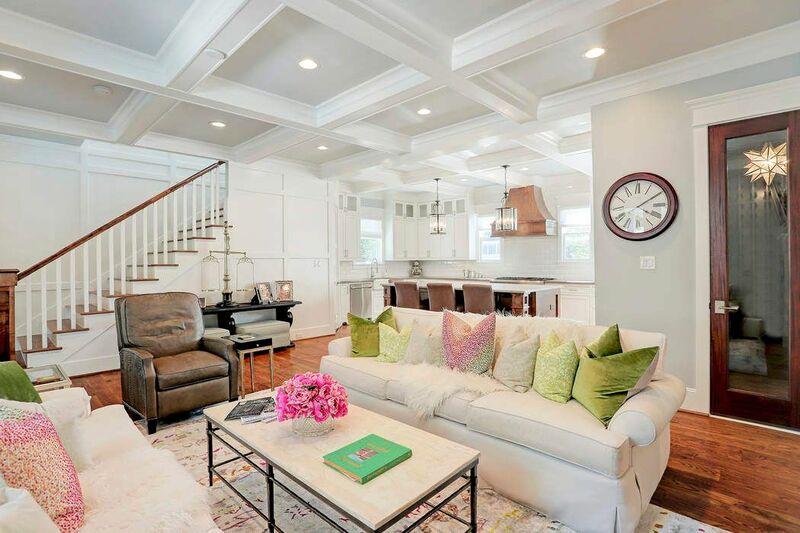 Unique ceiling design. MASTER CLOSET - Huge master closet! Much larger than photos show. POOL/PATIO - Back patio with outdoor kitchen overlooking the pool! 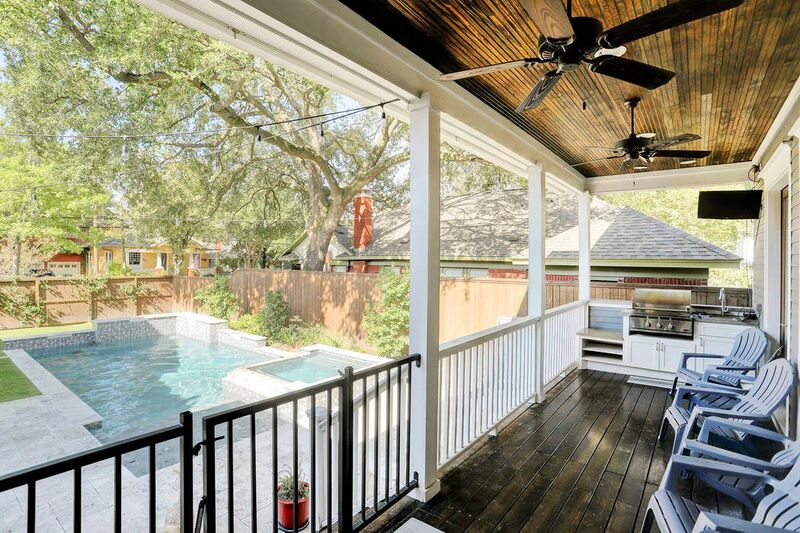 Your very own backyard oasis! DRIVEWAY/SIDE OF HOME - Large driveway with automatic gate and fully fenced corner lot. 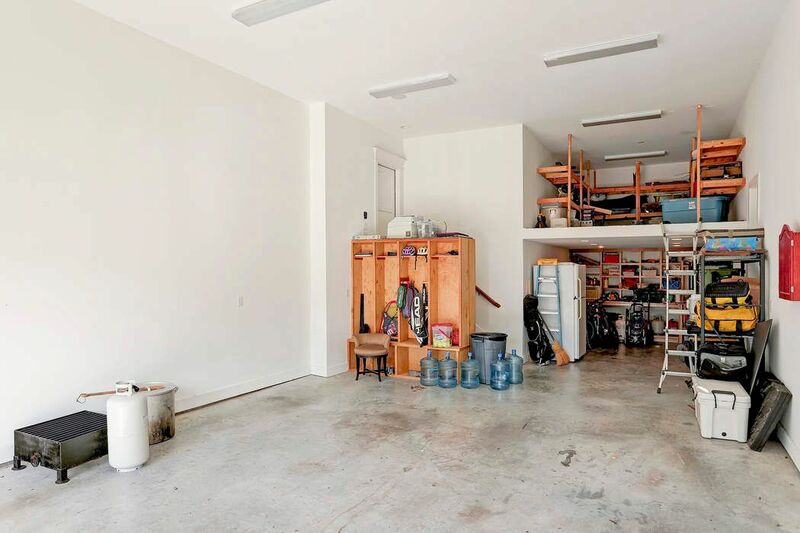 GARAGE- Expansive garage makes storing items easy and still have space for your car. Grocery drop! 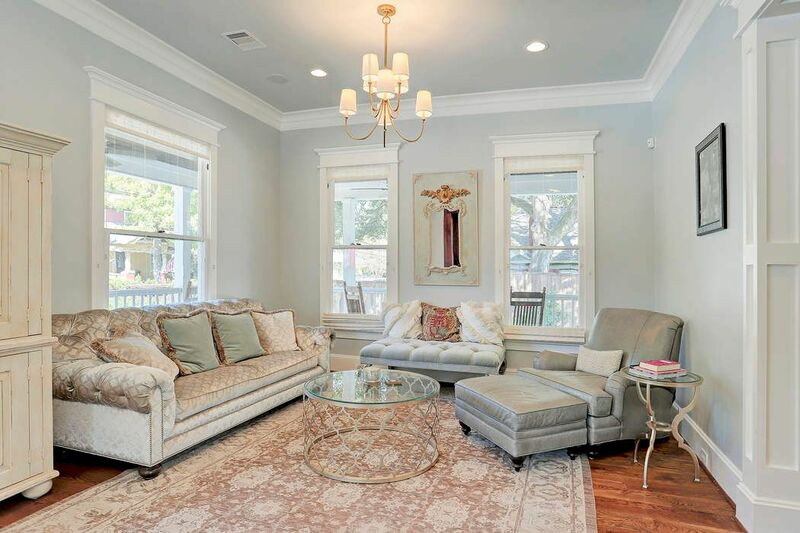 $1,599,900 4 Bedrooms3 Full / 2 Partial Baths4,532 sq. ft. 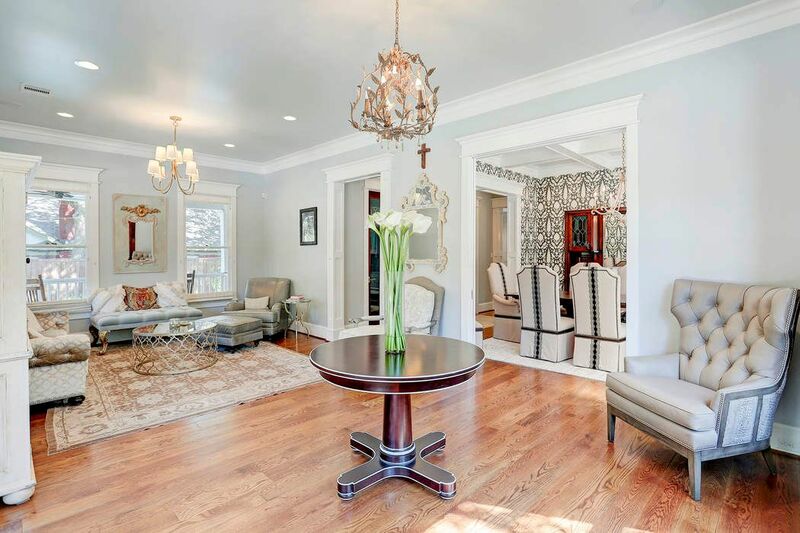 Beautifully restored and expanded 1920s charmer is sure to turn heads. 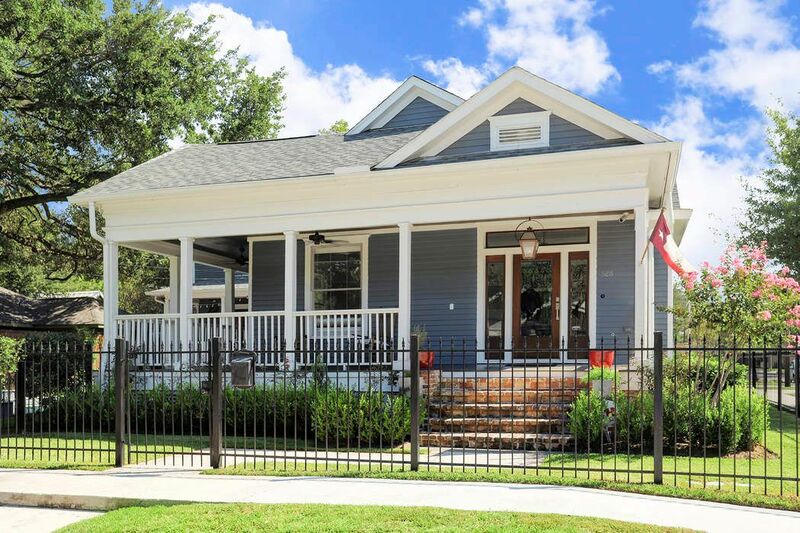 Situated on large, prime corner lot, enjoy walking to Travis Elementary or relaxing under the oak shaded porches, pool and hot tub areas. 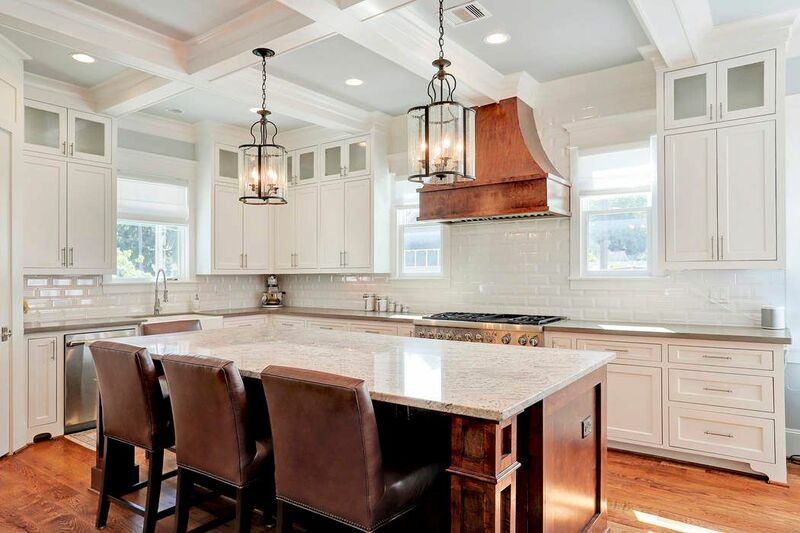 Elegant kitchen with wide refrigerator, 6-burner stove, warming drawer and climate controlled wine room. Kitchen features grocery drop from garage to pantry adds uniqueness and practicality. 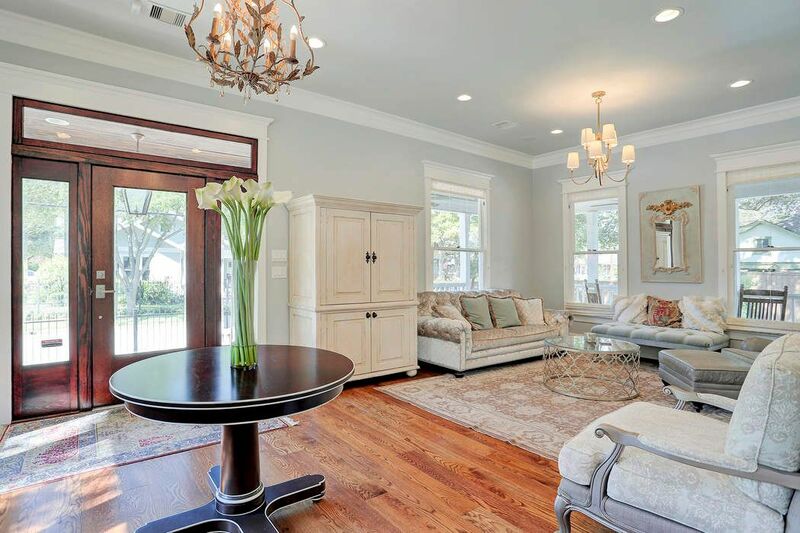 Designer finishes and custom cabinets throughout give this home charm and grace. 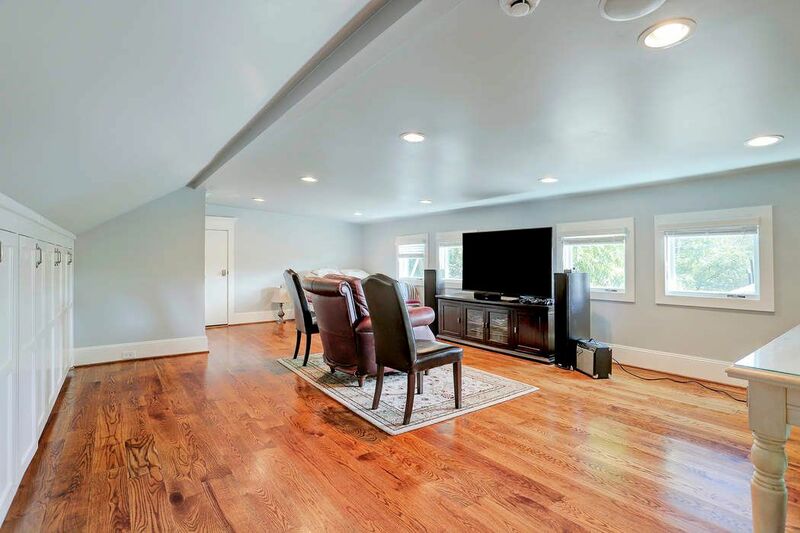 4 A/C units and tankless water heater add to the energy efficiency of this home. 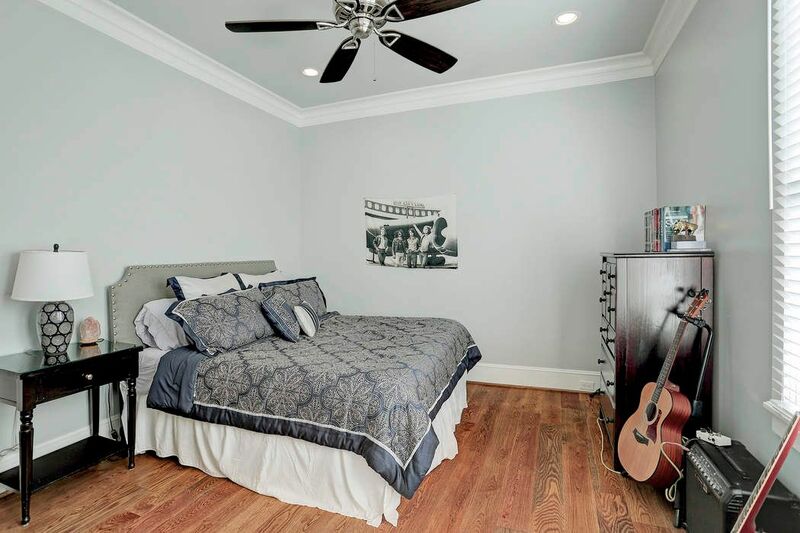 Large bedroom downstairs as second master or guest suite. 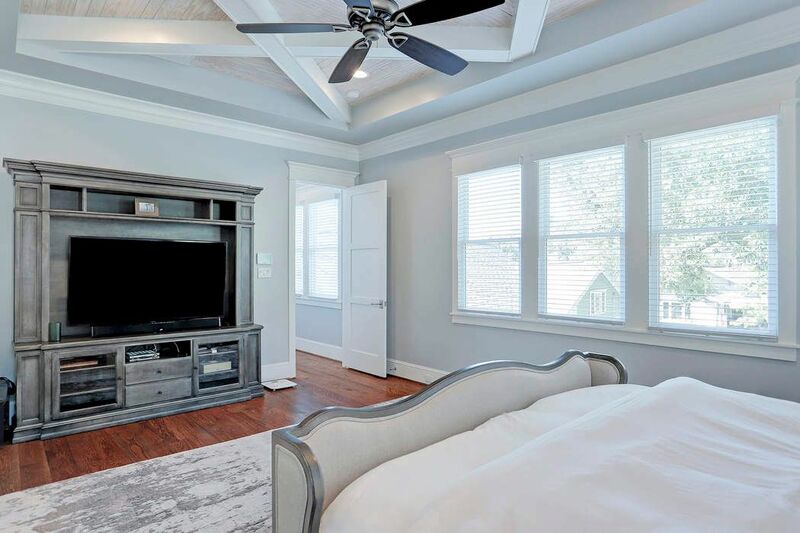 Master bedroom overlooks picturesque yard and has an oversized bath, double sinks and two huge closets. Third floor game room/media room. 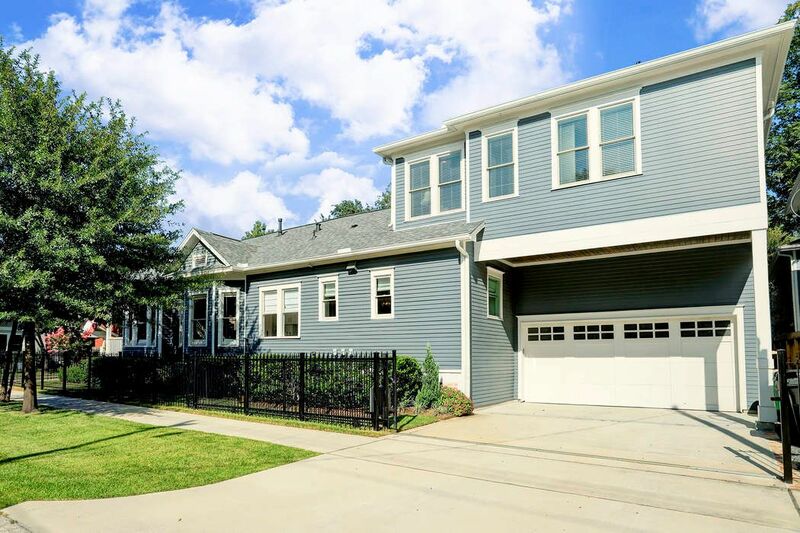 3-car garage and multilevel storage. Come see. . . Too many features to list.